Every year the Choir’s committee nominate local charities to be the beneficiaries of the Christmas Celebration Concert and fundraising sing in Whitehaven’s Tesco superstore. The nominated charities for 2007 were the West Cumbria Heart and Angina Support Group, and the local branch of Macmillan Cancer Support. 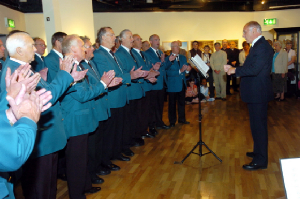 In 2007 the Choir celebrated their 30th anniversary year, with many concerts and events throughout Cumbria. 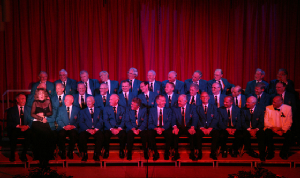 As part of the celebrations, the Choir hosted an anniversary party in Whitehaven Civic Hall on Saturday 8th of September. 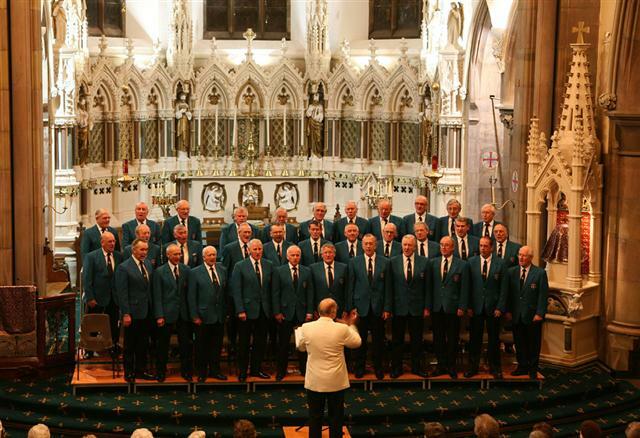 This sell out event included a two course meal followed by entertainment from the Choir, Sethera Brass and local female guest soloists who have entertained our concert audiences during recent years. Following the concert The Beacon closed for an exciting refurbishment and re-opened on October 5th 2007. The Choir recorded several sea shanties, which will be played continuously in part of the new Beacon for the next ten years! The Choir performing ‘Alexander’s Ragtime Band’ during the exhibition opening ceremony. 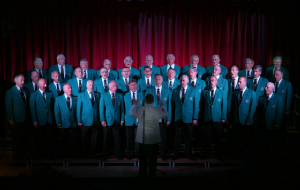 The unique setting of the old engine winding hall at Haig Colliery Mining Museum provided the perfect acoustics for a performance by Whitehaven Male Voice Choir. The concert was well attended and there was a welcome from museum manager Pamela Telford who also gave a vote of thanks to the choir. She said: “Part of what we are trying to do here is to get people used to thinking of us as a venue for events, a place to see and hear things as well as being a museum. 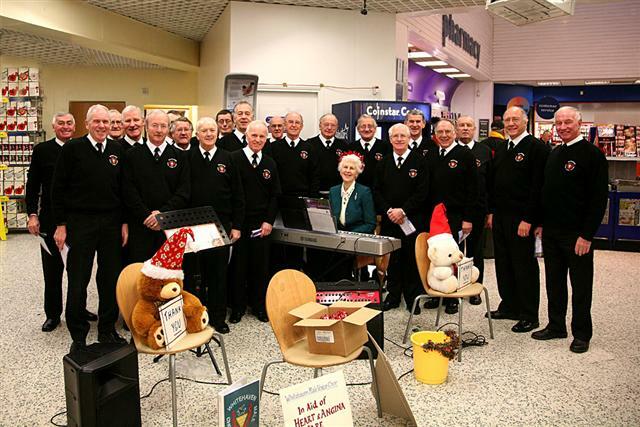 It was really wonderful to hear the male voice choir and we would love to have them back again,” she said. There were solo performances from Diane Hunter – particularly poignant as her grandfather’s long service certificate is on display in the museum. 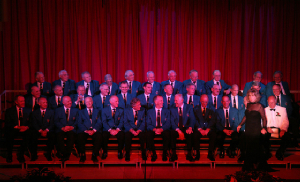 Whitehaven Male Voice Choir’s annual concert, this year titled ‘Come and Hear’, was presented to a very full Civic Hall on Sunday 10th June in the presence of the Mayor of Copeland, Councillor Anne Faichney. It had been a very warm day and the hall was stiflingly hot, but that didn’t stop the choir performing well or the audience enjoying a really good show. It must have been hard work for the men on stage, dressed as they were in full uniform for the first half of the programme, coping with the heat from the stage lighting as well. This year saw a return to Whitehaven of Kate Woolveridge, a Welsh born mezzo-soprano, with an impeccable musical pedigree. She alone looked as though she was undeterred by the heat in the hall, giving us, in turn, opera, stage, traditional and show music. Her timing was enviable, her stage presence warm and welcoming, her flirtatiousness with the choir pitched just right and all delivered with a warm Welsh sense of humour. It was good to see her back. Her programme, which included Habenera, from Bizet’s ‘Carmen’, George Gershwin’s Embraceable You, and Richard Rodger’s Bewitched, was well chosen for the occasion and clearly delighted the audience who requested her back for an encore. The choir, whose programme was introduced by their Musical Director, Hugh Robinson, continue to surprise their followers with the range of their performance, switching with seeming ease between operatic choruses, (Gounod’s Soldiers Chorus from ‘Faust’, Richard Wagner’s Prayer from ‘Lohengrin’, and Dvorak’s Goin’ Home), songs from the shows (Some Enchanted Evening by Richard Rodgers, Rhythm of Life by Cy Coleman, and All I Ask of You by Andrew Lloyd Webber), and spirituals (Hand me Down My Silver Trumpet, Shall We Gather at the River, My Lord, What a Mornin’). Add in some ‘middle of the road’ (Unchained Melody, Alex North, You Raise Me Up, Graham & Lovland, My Dearest Dear, Ivor Novello) and jazz, (Alexander’s Ragtime Band, Irving Berlin), and you get a sense of their repertoire. I almost forgot to mention the accompanists Joan Johnston and Aileen Rule, and Alan Jackson who accompanied Kate Woolveridge. Each gave of their best throughout the evening and without whom the evening would have been lacking. Once again we were treated to a concert that was varied in content, professionally performed, and delivered with obvious pleasure and which included a soloist of excellence. Well done, all of you. The Choir enjoying Kate’s performance, one top tenor in particular! !